Long gone are the days of dial-up internet, and it is a godsend! Today, there are 4.4 billion active internet users in the world. If you are new to Costa del Sol, or are just looking for a better deal, check out our list of the best broadband providers now. Having a reliable internet connection is very important, which is why you want to make sure that you're getting the best deal. The customer services team speak fluent English, Spanish, and Russian. With prices starting from as low as €19.90 a month, it's easy to see why the locals like this internet provider. AVATEL TELECOM is a well-trusted internet provider across the coast from Málaga to Manilva. They provide a number of services, including WiFi, Fibre, 4G, mobile, and landline needs. Their rates are fantastic, and they also offer 195 TV Channels free with all their internet packages. ON / OFF service for people with holiday homes. Servifone Communications is a well-trusted internet provider in the Marbella area. They provide a number of services, including WiFi, Fibre, 4G, mobile, and landline needs. 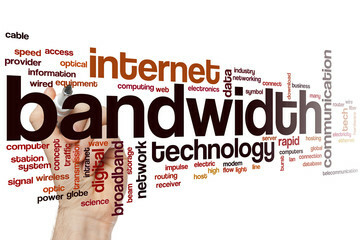 For a fast connection with great rates, it's no wonder why locals opt to use Servifone for their broadband needs. They provide installation within 72 hours of ordering. For Wi-Max internet options, prices start from €30 a month. For fibre optic internet options, prices also start from €30 a month. They have a pay-as-you-go option. Prices start from €29.95 which gives you a 10 GB* transfer and is ideal for basic internet browsing and sending/receiving emails etc. Orbit is one of the fastest Spanish internet providers around. They offer a variety of internet packages so that everyone can enjoy a reliable internet connection, no matter what your budget or requirements are. Their Wi-Max package offers speeds from 3MB to 15MB, unlimited downloads, and on/off service (meaning no monthly payment when you are away) all for €31 a month. They also offer 4G Unlimited Fast Internet System, Short Term Holiday Internet Rentals, Fibre Optic 100MB or Fibre Optic 600MB, ADSL, and Mobile Sims! The best broadband providers all offer a lot of options, so make sure you choose a provider that is right for you and your requirements. For example, if you have a rental home in Costa del Sol and aren't there all year, to save money it makes more sense to choose an internet provider that allows you to pay for what you use! Contact us today if you want to find your dream house or apartment in Costa del Sol.